Manon's professional background is in theatrical costuming and shoemaking, but most of her time is devoted to Shoe Babou. Every piece is one of a kind. 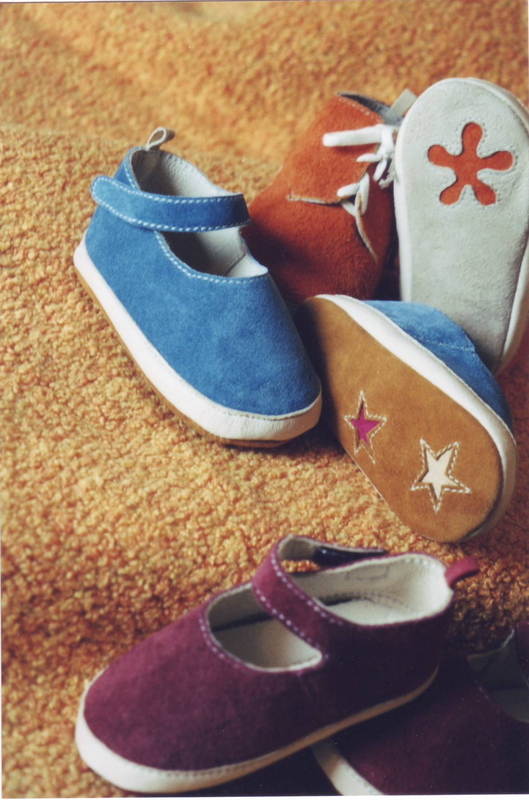 The baby shoes are made of suede, lined in fine leather, soft and yet structured, individually detailed and come in an infinite array of colors. The booties and hats are made in small quantities, using the best pelts in beautiful and often surprising colors. Leftovers, end of lots, bits and pieces and constraints are very inspiring! Shoe Babou has expanded to include working with wool and cotton, always from pre-loved t-shirts or sweaters which give new life to a variety of shapes and functions. Every step of the creating is done with love by Manon. "I like what I do!"